Delight your foodie friends with this unusual gift – this mushroom kit allows you to grow your own oyster mushrooms in four simple steps. 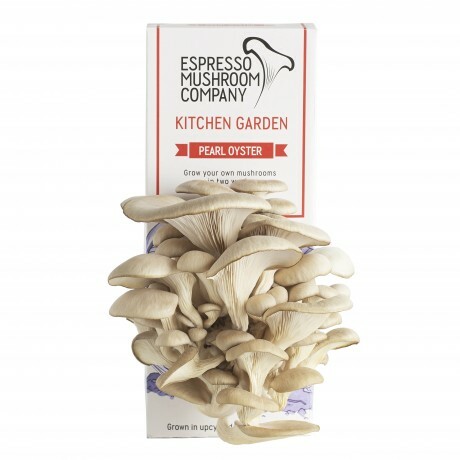 Bouquets of Oyster mushrooms are waiting to burst out of this box: grown on upcycled coffee from one hundred espressos! Share the excitement of growing your own and watch in amazement in the second week as the mushrooms literally double in size every day. 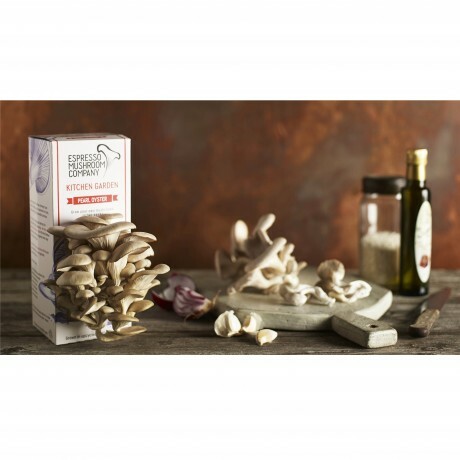 The mushroom kits are a great treat for you and your kids, and perfect gift for green-fingered foodies and garden deprived city dwellers alike. 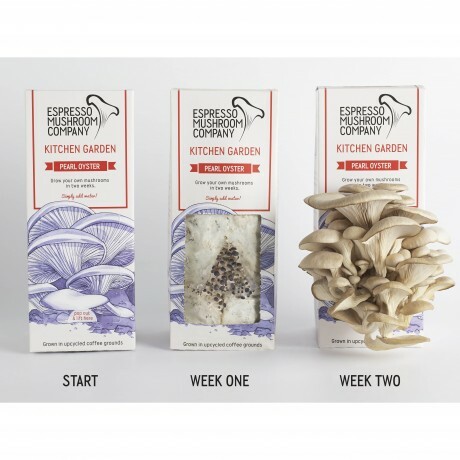 Just find a light airy spot, follow these four simple steps: Open up - Water - Grow - Harvest - In around two weeks you’ll be making your own steps 5 and 6 – cooking and eating! 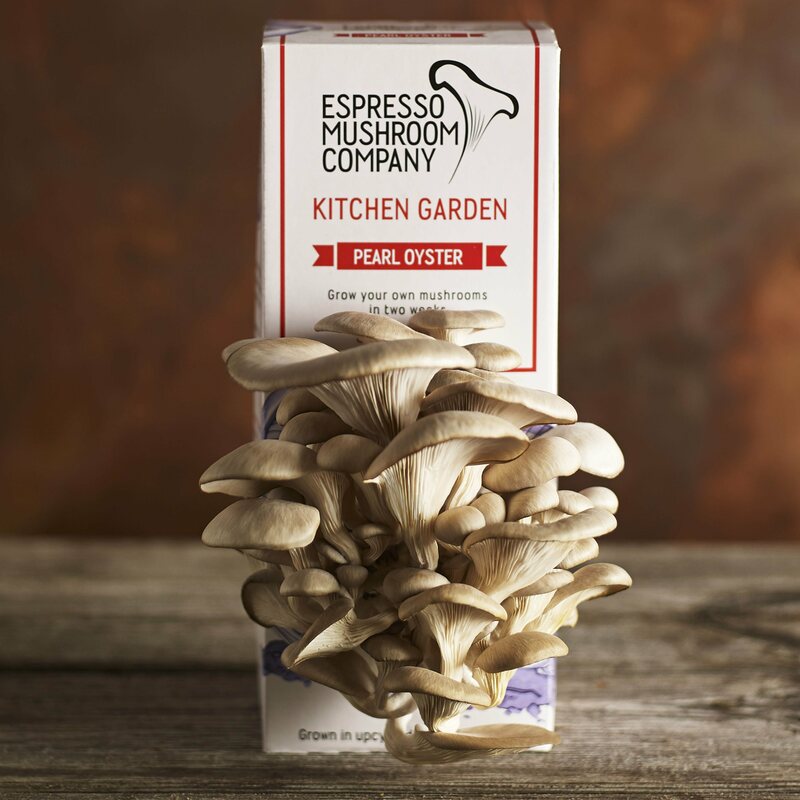 The Kitchen Gardens are handmade in Sussex, where the Espresso Mushroom team monitor each kit and send them out when ready to grow. They are 100% confident in their product so if for any reason it does not perform as described they will happily replace it. 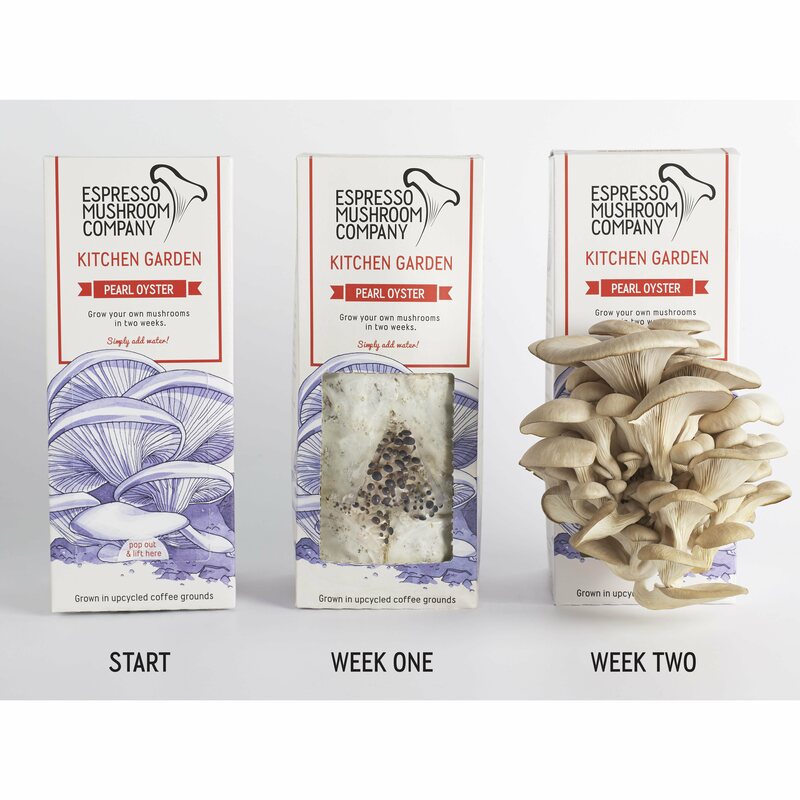 Kitchen Garden growbags use upcycled coffee grounds as compost and the growbox is printed on recycled card and contains clear growing instructions, a good-to-go mushroom growbag, free water spray pump and recipe card.